In addition to excelling at scanning high-density barcodes, the NLS-HR42 also provides the added value of postal barcodes decoding – extending its data capture capabilities. The NLS-HR42, built into an IP42-sealed and drop resistant (1.8m) housing, can stand up to tough environments. Designed with the end user in mind, the NLS-HR42-HD employshighly visible laser aimer to achieve crisp and accurate targeting while usingflicker-free white soft illumination to reduce eye strain and fatigue fromlong-time operation. 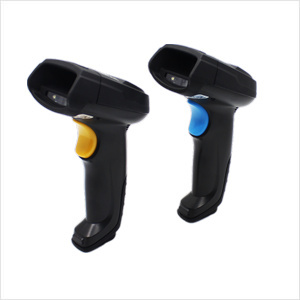 The IR sensor insidethe scanner exhibits an improved sensibility in activating the scanner to scanbarcodes even when they are presented 1000px in front of it, markedly increasingthroughput and productivity. Productioncontrol, product traceability, warehouse/ inventory/ distribution/ logisticsmanagement and other applications in harsh environment. Used to connect the HR42 to a host device. DC5V power adapter to power the HR42 with RS-232 cable.